Matthew Dellavedova - Milwaukee Bucks (Fanduel: 4100 Draftkings: 4400) takes on the Brooklyn Nets with an Over/Under of 216.5 and a line of -4.5. They rank 30 against Point guards this year and 27 last year. He averages 20.7 fantasy points per game this year. This year, he has scored 6 times his salary 25 percent of the time and 5 times his salary 50 percent of the time. 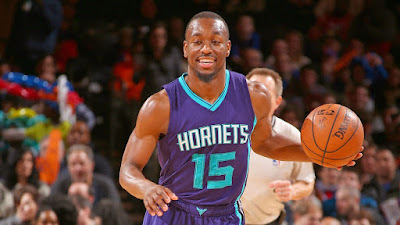 Kemba Walker - Charlotte Hornets (Fanduel: 8000 Draftkings: 7800) takes on the Dallas Mavericks with an Over/Under of 193.5 and a line of -11. They rank 3 against Point guards this year and 18 last year. He averages 38.5 fantasy points per game this year. Patrick Beverley - Houston Rockets (Fanduel: 4400 Draftkings: 4600) takes on the Golden State Warriors with an Over/Under of 230.5 and a line of 10.5. They rank 16 against Point guards this year and 24 last year. He averages 20.0 fantasy points per game this year. Last year, he scored six times his salary 27 percent of the time and 5 times his salary 46 percent of the time. J.J. Barea - Dallas Mavericks (Fanduel: 5700 Draftkings: 5000) takes on the Charlotte Hornets with an Over/Under of 193.5 and a line of 11. They rank 23 against Point guards this year and 10 last year. He averages 28.2 fantasy points per game this year. Tyler Johnson - Miami Heat (Fanduel: 4800 Draftkings: 4900) takes on the Utah Jazz with an Over/Under of 189.5 and a line of 10. They rank 2 against Point guards this year and 4 last year. He averages 10.8 percent more Away, 27.3 fantasy points compared to 24.7 fantasy points for the year.Over his last 3 games, he has scored 28.1 fantasy points per game. This year, he has scored 6 times his salary 41 percent of the time and 5 times his salary 53 percent of the time. Klay Thompson - Golden State Warriors (Fanduel: 6100 Draftkings: 6600) takes on the Houston Rockets with an Over/Under of 230.5 and a line of -10.5. They rank 29 against Shooting guards this year and 24 last year. He averages 27.8 fantasy points per game this year. Last year, he scored six times his salary 27 percent of the time and 5 times his salary 50 percent of the time. Giannis Antetokounmpo - Milwaukee Bucks (Fanduel: 10300 Draftkings: 9900) takes on the Brooklyn Nets with an Over/Under of 216.5 and a line of -4.5. They rank 26 against Shooting guards this year and 25 last year. He averages 46.7 fantasy points per game this year. Eric Gordon - Houston Rockets (Fanduel: 5000 Draftkings: 5100) takes on the Golden State Warriors with an Over/Under of 230.5 and a line of 10.5. They rank 24 against Shooting guards this year and 11 last year. He averages 23.9 fantasy points per game this year. Over his last 3 games, he has scored 27.9 fantasy points per game. This year, he has scored 6 times his salary 17 percent of the time and 5 times his salary 39 percent of the time. Last year, he scored six times his salary 25 percent of the time and 5 times his salary 39 percent of the time. James Harden - Houston Rockets (Fanduel: 11300 Draftkings: 12000) takes on the Golden State Warriors with an Over/Under of 230.5 and a line of 10.5. They rank 24 against Shooting guards this year and 11 last year. He averages 53.3 fantasy points per game this year. Sean Kilpatrick - Brooklyn Nets (Fanduel: 5700 Draftkings: 5800) takes on the Milwaukee Bucks with an Over/Under of 216.5 and a line of 4.5. They rank 22 against Shooting guards this year and 21 last year. He averages 17.1 percent more Home, 29.4 fantasy points compared to 25.1 fantasy points for the year.Over his last 3 games, he has scored 38.1 fantasy points per game. His minutes have increased by 28 percent over the last 3 games. Draymond Green - Golden State Warriors (Fanduel: 7700 Draftkings: 7900) takes on the Houston Rockets with an Over/Under of 230.5 and a line of -10.5. They rank 11 against Power forwards this year and 28 last year. He averages 36.9 fantasy points per game this year. Last year, he scored six times his salary 25 percent of the time and 5 times his salary 45 percent of the time. Frank Kaminsky - Charlotte Hornets (Fanduel: 4500 Draftkings: 5000) takes on the Dallas Mavericks with an Over/Under of 193.5 and a line of -11. They rank 17 against Power forwards this year and 20 last year. He averages 21.6 fantasy points per game this year. His minutes have increased by 16 percent over the last 3 games. This year, he has scored 6 times his salary 19 percent of the time and 5 times his salary 56 percent of the time. Trevor Booker - Brooklyn Nets (Fanduel: 5900 Draftkings: 6000) takes on the Milwaukee Bucks with an Over/Under of 216.5 and a line of 4.5. They rank 20 against Power forwards this year and 21 last year. He averages 28.1 fantasy points per game this year. Over his last 3 games, he has scored 33.1 fantasy points per game. His minutes have increased by 16 percent over the last 3 games. This year, he has scored 6 times his salary 24 percent of the time and 5 times his salary 47 percent of the time. Jabari Parker - Milwaukee Bucks (Fanduel: 6400 Draftkings: 6100) takes on the Brooklyn Nets with an Over/Under of 216.5 and a line of -4.5. They rank 29 against Power forwards this year and 23 last year. He averages 30.0 fantasy points per game this year. This year, he has scored 6 times his salary 31 percent of the time and 5 times his salary 38 percent of the time. Kevin Love - Cleveland Cavaliers (Fanduel: 8300 Draftkings: 8000) takes on the Los Angeles Clippers with an Over/Under of 214.5 and a line of -5. They rank 4 against Power forwards this year and 17 last year. He averages 38.7 fantasy points per game this year. Bojan Bogdanovic - Brooklyn Nets (Fanduel: 4200 Draftkings: 4100) takes on the Milwaukee Bucks with an Over/Under of 216.5 and a line of 4.5. They rank 25 against Small forwards this year and 28 last year. He averages 20.0 fantasy points per game this year. This year, he has scored 6 times his salary 18 percent of the time and 5 times his salary 29 percent of the time. Kevin Durant - Golden State Warriors (Fanduel: 10200 Draftkings: 10200) takes on the Houston Rockets with an Over/Under of 230.5 and a line of -10.5. They rank 23 against Small forwards this year and 29 last year. He averages 48.3 fantasy points per game this year. James Ennis - Memphis Grizzlies (Fanduel: 3700 Draftkings: 3600) takes on the Orlando Magic with an Over/Under of 186 and a line of 1.5. They rank 20 against Small forwards this year and 16 last year. He averages 25.6 percent more Home, 23.3 fantasy points compared to 18.5 fantasy points for the year.This year, he has scored 6 times his salary 36 percent of the time and 5 times his salary 57 percent of the time. Trevor Ariza - Houston Rockets (Fanduel: 5200 Draftkings: 5400) takes on the Golden State Warriors with an Over/Under of 230.5 and a line of 10.5. They rank 9 against Small forwards this year and 19 last year. He averages 24.7 fantasy points per game this year. This year, he has scored 6 times his salary 17 percent of the time and 5 times his salary 50 percent of the time. Last year, he scored six times his salary 21 percent of the time and 5 times his salary 43 percent of the time. Rondae Hollis-Jefferson - Brooklyn Nets (Fanduel: 3900 Draftkings: 3900) takes on the Milwaukee Bucks with an Over/Under of 216.5 and a line of 4.5. They rank 25 against Small forwards this year and 28 last year. He averages 3.2 percent more Home, 18.3 fantasy points compared to 17.8 fantasy points for the year.This year, he has scored 6 times his salary 21 percent of the time and 5 times his salary 29 percent of the time. Last year, he scored six times his salary 27 percent of the time and 5 times his salary 31 percent of the time. Greg Monroe - Milwaukee Bucks (Fanduel: 4600 Draftkings: 3900) takes on the Brooklyn Nets with an Over/Under of 216.5 and a line of -4.5. They rank 28 against Centers this year and 25 last year. He averages 22.0 fantasy points per game this year. Over his last 3 games, he has scored 24.5 fantasy points per game. His minutes have increased by 12 percent over the last 3 games. This year, he has scored 6 times his salary 33 percent of the time and 5 times his salary 40 percent of the time. Last year, he scored six times his salary 66 percent of the time and 5 times his salary 78 percent of the time. 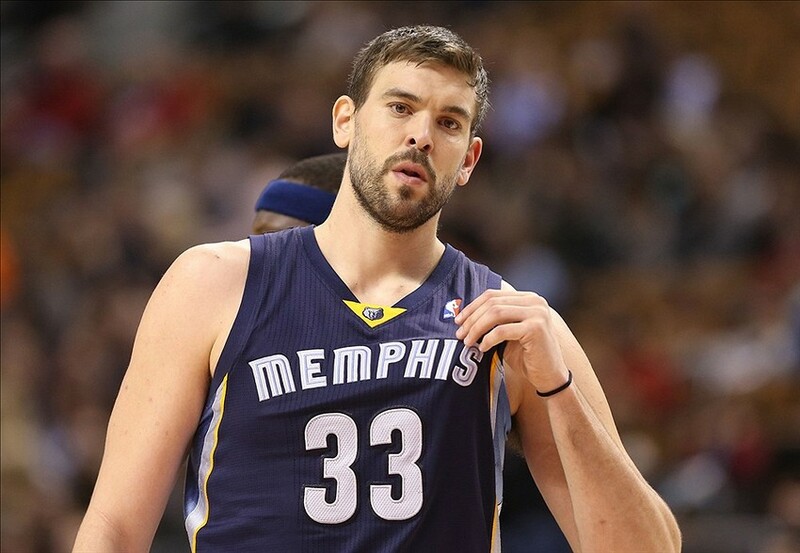 Marc Gasol - Memphis Grizzlies (Fanduel: 7000 Draftkings: 7000) takes on the Orlando Magic with an Over/Under of 186 and a line of 1.5. They rank 11 against Centers this year and 24 last year. He averages 32.7 fantasy points per game this year. Last year, he scored six times his salary 17 percent of the time and 5 times his salary 38 percent of the time. Cody Zeller - Charlotte Hornets (Fanduel: 4600 Draftkings: 4400) takes on the Dallas Mavericks with an Over/Under of 193.5 and a line of -11. They rank 22 against Centers this year and 22 last year. He averages 22.3 fantasy points per game this year. This year, he has scored 6 times his salary 27 percent of the time and 5 times his salary 40 percent of the time. Last year, he scored six times his salary 16 percent of the time and 5 times his salary 29 percent of the time. Clint Capela - Houston Rockets (Fanduel: 5900 Draftkings: 5700) takes on the Golden State Warriors with an Over/Under of 230.5 and a line of 10.5. They rank 10 against Centers this year and 19 last year. He averages 27.0 fantasy points per game this year. His minutes have increased by 15 percent over the last 3 games. This year, he has scored 6 times his salary 17 percent of the time and 5 times his salary 33 percent of the time. Tristan Thompson - Cleveland Cavaliers (Fanduel: 5000 Draftkings: 5200) takes on the Los Angeles Clippers with an Over/Under of 214.5 and a line of -5. They rank 6 against Centers this year and 12 last year. He averages 23.8 fantasy points per game this year. Over his last 3 games, he has scored 28.1 fantasy points per game. His minutes have increased by 10 percent over the last 3 games. Tim Frazier - New Orleans Pelicans (Fanduel: 5700 Draftkings: 6200) takes on the Los Angeles Lakers with an Over/Under of 215 and a line of -1. They rank 19 against Point guards this year and 29 last year. He averages 23.1 percent more Home, 35.6 fantasy points compared to 28.9 fantasy points for the year.This year, he has scored 6 times his salary 44 percent of the time and 5 times his salary 56 percent of the time. 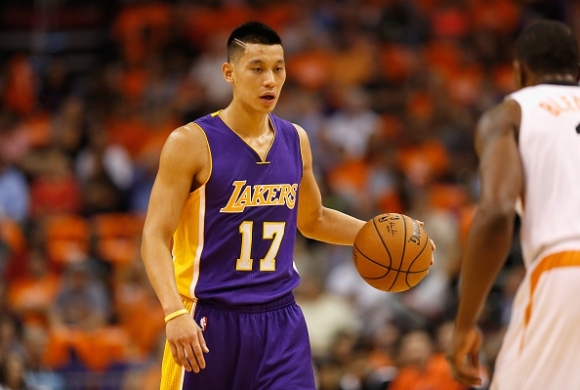 Jeremy Lin - Brooklyn Nets (Fanduel: 6300 Draftkings: 6400) takes on the Phoenix Suns with an Over/Under of 219 and a line of 5. They rank 29 against Point guards this year and 30 last year. He averages 29.8 fantasy points per game this year. This year, he has scored 6 times his salary 20 percent of the time and 5 times his salary 40 percent of the time. Marcus Smart - Boston Celtics (Fanduel: 4900 Draftkings: 5200) takes on the Indiana Pacers with an Over/Under of 219.5 and a line of 3. They rank 18 against Point guards this year and 10 last year. He averages 24.8 fantasy points per game this year. Over his last 3 games, he has scored 28.1 fantasy points per game. This year, he has scored 6 times his salary 20 percent of the time and 5 times his salary 20 percent of the time. Last year, he scored six times his salary 22 percent of the time and 5 times his salary 31 percent of the time. Chris Paul - Los Angeles Clippers (Fanduel: 9300 Draftkings: 8700) takes on the Minnesota Timberwolves with an Over/Under of 204.5 and a line of -5. They rank 14 against Point guards this year and 25 last year. He averages 43.4 fantasy points per game this year. Danny Green - San Antonio Spurs (Fanduel: 4500 Draftkings: 4500) takes on the Houston Rockets with an Over/Under of 209.5 and a line of -1.5. They rank 15 against Shooting guards this year and 24 last year. He averages 23.6 fantasy points per game this year. Kentavious Caldwell-Pope - Detroit Pistons (Fanduel: 4700 Draftkings: 5200) takes on the Denver Nuggets with an Over/Under of 202.5 and a line of 4.5. They rank 29 against Shooting guards this year and 26 last year. He averages 22.1 fantasy points per game this year. This year, he has scored 6 times his salary 33 percent of the time and 5 times his salary 56 percent of the time. Last year, he scored six times his salary 22 percent of the time and 5 times his salary 52 percent of the time. Sean Kilpatrick - Brooklyn Nets (Fanduel: 5300 Draftkings: 5500) takes on the Phoenix Suns with an Over/Under of 219 and a line of 5. They rank 24 against Shooting guards this year and 28 last year. He averages 23.9 fantasy points per game this year. His minutes have increased by 11 percent over the last 3 games. Avery Bradley - Boston Celtics (Fanduel: 6900 Draftkings: 7000) takes on the Indiana Pacers with an Over/Under of 219.5 and a line of 3. They rank 14 against Shooting guards this year and 7 last year. He averages 35.9 fantasy points per game this year. Will Barton - Denver Nuggets (Fanduel: 5300 Draftkings: 5000) takes on the Detroit Pistons with an Over/Under of 202.5 and a line of -4.5. They rank 6 against Shooting guards this year and 5 last year. He averages 28.3 fantasy points per game this year. Last year, he scored six times his salary 30 percent of the time and 5 times his salary 48 percent of the time. Paul Millsap - Atlanta Hawks (Fanduel: 7800 Draftkings: 8000) takes on the Philadelphia 76ers with an Over/Under of 205 and a line of -13.5. They rank 20 against Power forwards this year and 29 last year. He averages 13 percent more Home, 40.2 fantasy points compared to 35.6 fantasy points for the year.Last year, he scored six times his salary 18 percent of the time and 5 times his salary 45 percent of the time. Trevor Booker - Brooklyn Nets (Fanduel: 5400 Draftkings: 5400) takes on the Phoenix Suns with an Over/Under of 219 and a line of 5. They rank 26 against Power forwards this year and 13 last year. He averages 27.6 fantasy points per game this year. This year, he has scored 6 times his salary 38 percent of the time and 5 times his salary 63 percent of the time. Jon Leuer - Detroit Pistons (Fanduel: 4400 Draftkings: 4500) takes on the Denver Nuggets with an Over/Under of 202.5 and a line of 4.5. They rank 18 against Power forwards this year and 25 last year. He averages 20.5 fantasy points per game this year. Last year, he scored six times his salary 23 percent of the time and 5 times his salary 34 percent of the time. Gorgui Dieng - Minnesota Timberwolves (Fanduel: 6000 Draftkings: 6300) takes on the Los Angeles Clippers with an Over/Under of 204.5 and a line of 5. They rank 2 against Power forwards this year and 17 last year. He averages 28.1 fantasy points per game this year. This year, he has scored 6 times his salary 29 percent of the time and 5 times his salary 57 percent of the time. Last year, he scored six times his salary 17 percent of the time and 5 times his salary 30 percent of the time. C.J. Miles - Indiana Pacers (Fanduel: 4400 Draftkings: 5100) takes on the Boston Celtics with an Over/Under of 219.5 and a line of -3. They rank 30 against Small forwards this year and 23 last year. He averages 22.6 fantasy points per game this year. His minutes have increased by 26 percent over the last 3 games. This year, he has scored 6 times his salary 22 percent of the time and 5 times his salary 33 percent of the time. Last year, he scored six times his salary 21 percent of the time and 5 times his salary 32 percent of the time. James Ennis - Memphis Grizzlies (Fanduel: 4400 Draftkings: 4600) takes on the Milwaukee Bucks with an Over/Under of 201 and a line of 2. They rank 27 against Small forwards this year and 28 last year. He averages 21.1 fantasy points per game this year. His minutes have increased by 10 percent over the last 3 games. This year, he has scored 6 times his salary 25 percent of the time and 5 times his salary 50 percent of the time. T.J. Warren - Phoenix Suns (Fanduel: 6100 Draftkings: 6700) takes on the Brooklyn Nets with an Over/Under of 219 and a line of -5. They rank 26 against Small forwards this year and 21 last year. He averages 31.4 fantasy points per game this year. This year, he has scored 6 times his salary 44 percent of the time and 5 times his salary 56 percent of the time. Kent Bazemore - Atlanta Hawks (Fanduel: 4600 Draftkings: 5100) takes on the Philadelphia 76ers with an Over/Under of 205 and a line of -13.5. They rank 29 against Small forwards this year and 24 last year. He averages 22.4 fantasy points per game this year. Over his last 3 games, he has scored 29.7 fantasy points per game. This year, he has scored 6 times his salary 25 percent of the time and 5 times his salary 38 percent of the time. Last year, he scored six times his salary 33 percent of the time and 5 times his salary 52 percent of the time. Joel Embiid - Philadelphia 76ers (Fanduel: 5200 Draftkings: 6100) takes on the Atlanta Hawks with an Over/Under of 205 and a line of 13.5. They rank 2 against Centers this year and 21 last year. He averages 30.2 fantasy points per game this year. This year, he has scored 6 times his salary 50 percent of the time and 5 times his salary 67 percent of the time. Tyson Chandler - Phoenix Suns (Fanduel: 4800 Draftkings: 5100) takes on the Brooklyn Nets with an Over/Under of 219 and a line of -5. They rank 13 against Centers this year and 25 last year. He averages 24.4 fantasy points per game this year. Over his last 3 games, he has scored 30.2 fantasy points per game. This year, he has scored 6 times his salary 43 percent of the time and 5 times his salary 57 percent of the time. Last year, he scored six times his salary 21 percent of the time and 5 times his salary 30 percent of the time. Dwight Howard - Atlanta Hawks (Fanduel: 8100 Draftkings: 7800) takes on the Philadelphia 76ers with an Over/Under of 205 and a line of -13.5. They rank 28 against Centers this year and 30 last year. He averages 12.5 percent more Home, 41.8 fantasy points compared to 37.2 fantasy points for the year. Jusuf Nurkic - Denver Nuggets (Fanduel: 5500 Draftkings: 5700) takes on the Detroit Pistons with an Over/Under of 202.5 and a line of -4.5. They rank 26 against Centers this year and 11 last year. He averages 27.5 fantasy points per game this year. This year, he has scored 6 times his salary 25 percent of the time and 5 times his salary 50 percent of the time. Tim Frazier - New Orleans Pelicans (Fanduel: 5400 Draftkings: 6600) takes on the Golden State Warriors with an Over/Under of 223.5 and a line of 17. They rank 29 against Point guards this year and 24 last year. He averages 28.0 fantasy points per game this year. This year, he has scored 6 times his salary 50 percent of the time and 5 times his salary 50 percent of the time. George Hill - Utah Jazz (Fanduel: 6000 Draftkings: 6500) takes on the Philadelphia 76ers with an Over/Under of 192 and a line of -7.5. They rank 25 against Point guards this year and 21 last year. He averages 32.8 fantasy points per game this year. This year, he has scored 6 times his salary 29 percent of the time and 5 times his salary 71 percent of the time. Tyler Johnson - Miami Heat (Fanduel: 4900 Draftkings: 4700) takes on the Oklahoma City Thunder with an Over/Under of 203.5 and a line of 5.5. They rank 23 against Point guards this year and 13 last year. He averages 17.5 percent more Away, 31.3 fantasy points compared to 26.6 fantasy points for the year.This year, he has scored 6 times his salary 60 percent of the time and 5 times his salary 60 percent of the time. Goran Dragic - Miami Heat (Fanduel: 7100 Draftkings: 7000) takes on the Oklahoma City Thunder with an Over/Under of 203.5 and a line of 5.5. They rank 23 against Point guards this year and 13 last year. He averages 35.1 fantasy points per game this year. This year, he has scored 6 times his salary 20 percent of the time and 5 times his salary 40 percent of the time. John Wall - Washington Wizards (Fanduel: 9200 Draftkings: 8800) takes on the Houston Rockets with an Over/Under of 216.5 and a line of -1.5. 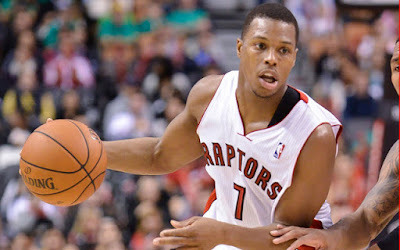 They rank 17 against Point guards this year and 15 last year. He averages 10.5 percent more Home, 49.3 fantasy points compared to 44.6 fantasy points for the year. Rodney Hood - Utah Jazz (Fanduel: 5400 Draftkings: 5900) takes on the Philadelphia 76ers with an Over/Under of 192 and a line of -7.5. They rank 12 against Shooting guards this year and 27 last year. He averages 27.1 fantasy points per game this year. Over his last 3 games, he has scored 31.7 fantasy points per game. This year, he has scored 6 times his salary 43 percent of the time and 5 times his salary 71 percent of the time. Dion Waiters - Miami Heat (Fanduel: 4600 Draftkings: 4600) takes on the Oklahoma City Thunder with an Over/Under of 203.5 and a line of 5.5. They rank 3 against Shooting guards this year and 22 last year. He averages 21.5 fantasy points per game this year. This year, he has scored 6 times his salary 20 percent of the time and 5 times his salary 40 percent of the time. Last year, he scored six times his salary 16 percent of the time and 5 times his salary 25 percent of the time. James Harden - Houston Rockets (Fanduel: 11800 Draftkings: 11700) takes on the Washington Wizards with an Over/Under of 216.5 and a line of 1.5. They rank 26 against Shooting guards this year and 14 last year. He averages 57.2 fantasy points per game this year. Over his last 3 games, he has scored 64.5 fantasy points per game. This year, he has scored 6 times his salary 17 percent of the time and 5 times his salary 67 percent of the time. Bradley Beal - Washington Wizards (Fanduel: 5400 Draftkings: 5600) takes on the Houston Rockets with an Over/Under of 216.5 and a line of -1.5. They rank 9 against Shooting guards this year and 24 last year. He averages 11.5 percent more Home, 27.1 fantasy points compared to 24.3 fantasy points for the year.Over his last 3 games, he has scored 27.1 fantasy points per game. Last year, he scored six times his salary 22 percent of the time and 5 times his salary 44 percent of the time. Eric Gordon - Houston Rockets (Fanduel: 5100 Draftkings: 5400) takes on the Washington Wizards with an Over/Under of 216.5 and a line of 1.5. They rank 26 against Shooting guards this year and 14 last year. He averages 23.9 fantasy points per game this year. Last year, he scored six times his salary 23 percent of the time and 5 times his salary 36 percent of the time. Markieff Morris - Washington Wizards (Fanduel: 5800 Draftkings: 5900) takes on the Houston Rockets with an Over/Under of 216.5 and a line of -1.5. They rank 25 against Power forwards this year and 28 last year. He averages 28.3 fantasy points per game this year. This year, he has scored 6 times his salary 40 percent of the time and 5 times his salary 60 percent of the time. Anthony Davis - New Orleans Pelicans (Fanduel: 10900 Draftkings: 11100) takes on the Golden State Warriors with an Over/Under of 223.5 and a line of 17. They rank 30 against Power forwards this year and 16 last year. He averages 56.8 fantasy points per game this year. This year, he has scored 6 times his salary 50 percent of the time and 5 times his salary 50 percent of the time. Jon Leuer - Detroit Pistons (Fanduel: 4200 Draftkings: 4300) takes on the Los Angeles Clippers with an Over/Under of 196.5 and a line of 8.5. They rank 5 against Power forwards this year and 17 last year. He averages 21.1 fantasy points per game this year. This year, he has scored 6 times his salary 17 percent of the time and 5 times his salary 50 percent of the time. Last year, he scored six times his salary 27 percent of the time and 5 times his salary 34 percent of the time. Taj Gibson - Chicago Bulls (Fanduel: 5600 Draftkings: 5700) takes on the Orlando Magic with an Over/Under of 203 and a line of -6.5. They rank 21 against Power forwards this year and 19 last year. He averages 26.4 fantasy points per game this year. Terrence Jones - New Orleans Pelicans (Fanduel: 4400 Draftkings: 4700) takes on the Golden State Warriors with an Over/Under of 223.5 and a line of 17. They rank 30 against Power forwards this year and 16 last year. He averages 21.1 fantasy points per game this year. Over his last 3 games, he has scored 25.3 fantasy points per game. His minutes have increased by 16 percent over the last 3 games. This year, he has scored 6 times his salary 20 percent of the time and 5 times his salary 20 percent of the time. Last year, he scored six times his salary 21 percent of the time and 5 times his salary 42 percent of the time. Joe Johnson - Utah Jazz (Fanduel: 4500 Draftkings: 4800) takes on the Philadelphia 76ers with an Over/Under of 192 and a line of -7.5. They rank 18 against Small forwards this year and 24 last year. He averages 22.7 fantasy points per game this year. Last year, he scored six times his salary 33 percent of the time and 5 times his salary 48 percent of the time. Justise Winslow - Miami Heat (Fanduel: 5000 Draftkings: 5600) takes on the Oklahoma City Thunder with an Over/Under of 203.5 and a line of 5.5. They rank 24 against Small forwards this year and 12 last year. He averages 11.5 percent more Away, 30.1 fantasy points compared to 27.0 fantasy points for the year.This year, he has scored 6 times his salary 40 percent of the time and 5 times his salary 60 percent of the time. Otto Porter - Washington Wizards (Fanduel: 4900 Draftkings: 5300) takes on the Houston Rockets with an Over/Under of 216.5 and a line of -1.5. They rank 23 against Small forwards this year and 29 last year. He averages 23.3 fantasy points per game this year. This year, he has scored 6 times his salary 20 percent of the time and 5 times his salary 40 percent of the time. Last year, he scored six times his salary 25 percent of the time and 5 times his salary 42 percent of the time. C.J. Miles - Indiana Pacers (Fanduel: 4200 Draftkings: 4100) takes on the Charlotte Hornets with an Over/Under of 207 and a line of 3.5. They rank 6 against Small forwards this year and 10 last year. He averages 22.2 fantasy points per game this year. Over his last 3 games, he has scored 26.4 fantasy points per game. His minutes have increased by 12 percent over the last 3 games. This year, he has scored 6 times his salary 33 percent of the time and 5 times his salary 67 percent of the time. Last year, he scored six times his salary 22 percent of the time and 5 times his salary 34 percent of the time. Lance Stephenson - New Orleans Pelicans (Fanduel: 4100 Draftkings: 4200) takes on the Golden State Warriors with an Over/Under of 223.5 and a line of 17. They rank 15 against Small forwards this year and 19 last year. He averages 6.6 percent more Away, 21.4 fantasy points compared to 20.1 fantasy points for the year.This year, he has scored 6 times his salary 33 percent of the time and 5 times his salary 50 percent of the time. Joel Embiid - Philadelphia 76ers (Fanduel: 5000 Draftkings: 5700) takes on the Utah Jazz with an Over/Under of 192 and a line of 7.5. They rank 9 against Centers this year and 1 last year. He averages 31.0 fantasy points per game this year. This year, he has scored 6 times his salary 50 percent of the time and 5 times his salary 75 percent of the time. Roy Hibbert - Charlotte Hornets (Fanduel: 3600 Draftkings: 3700) takes on the Indiana Pacers with an Over/Under of 207 and a line of -3.5. They rank 17 against Centers this year and 15 last year. He averages 19.8 fantasy points per game this year. This year, he has scored 6 times his salary 50 percent of the time and 5 times his salary 50 percent of the time. Last year, he scored six times his salary 27 percent of the time and 5 times his salary 33 percent of the time. Marcin Gortat - Washington Wizards (Fanduel: 5900 Draftkings: 6200) takes on the Houston Rockets with an Over/Under of 216.5 and a line of -1.5. They rank 13 against Centers this year and 23 last year. He averages 16 percent more Home, 33.5 fantasy points compared to 28.9 fantasy points for the year.Last year, he scored six times his salary 21 percent of the time and 5 times his salary 49 percent of the time. Myles Turner - Indiana Pacers (Fanduel: 6700 Draftkings: 6900) takes on the Charlotte Hornets with an Over/Under of 207 and a line of 3.5. They rank 19 against Centers this year and 10 last year. He averages 33.5 fantasy points per game this year. This year, he has scored 6 times his salary 17 percent of the time and 5 times his salary 17 percent of the time. Spencer Hawes - Charlotte Hornets (Fanduel: 3700 Draftkings: 3500) takes on the Indiana Pacers with an Over/Under of 207 and a line of -3.5. They rank 17 against Centers this year and 15 last year. He averages 17.5 fantasy points per game this year. This year, he has scored 6 times his salary 40 percent of the time and 5 times his salary 40 percent of the time. Last year, he scored six times his salary 18 percent of the time and 5 times his salary 32 percent of the time. 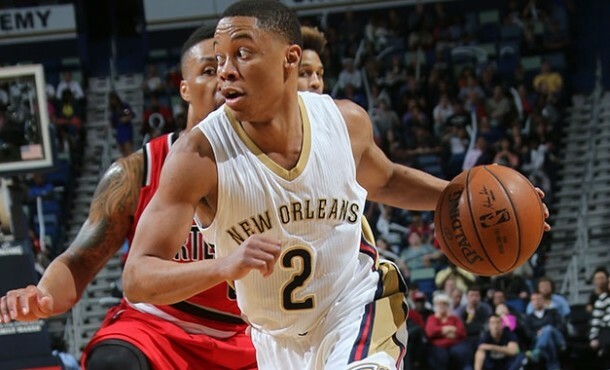 Tim Frazier - New Orleans Pelicans (Fanduel: 5500 Draftkings: 6400) takes on the Phoenix Suns with an Over/Under of 211 and a line of -3. They rank 30 against Point guards this year and 30 last year. He averages 0.4 more Home, 41.6 fantast points compared to 30.1 fantasy points for the year.This year, he has scored 6 times his salary 60 percent of the time and 5 times his salary 60 percent of the time. Last year, he scored six times his salary 7 percent of the time and 5 times his salary 17 percent of the time. J.J. Barea - Dallas Mavericks (Fanduel: 5100 Draftkings: 4800) takes on the Portland Trail blazers with an Over/Under of 206.5 and a line of 2. They rank 20 against Point guards this year and 26 last year. He averages 27.8 fantasy points per game this year. This year, he has scored 6 times his salary 50 percent of the time and 5 times his salary 50 percent of the time. Last year, he scored six times his salary 10 percent of the time and 5 times his salary 18 percent of the time. George Hill - Utah Jazz (Fanduel: 5700 Draftkings: 6200) takes on the San Antonio Spurs with an Over/Under of 184 and a line of 4. They rank 11 against Point guards this year and 9 last year. He averages 33.3 fantasy points per game this year. This year, he has scored 6 times his salary 60 percent of the time and 5 times his salary 80 percent of the time. Last year, he scored six times his salary 8 percent of the time and 5 times his salary 25 percent of the time. Derrick Rose - New York Knicks (Fanduel: 5700 Draftkings: 5600) takes on the Chicago Bulls with an Over/Under of 210.5 and a line of 7.5. They rank 9 against Point guards this year and 28 last year. He averages 26.3 fantasy points per game this year. His minutes have increased by 1 percent over the last 3 games. Last year, he scored six times his salary 18 percent of the time and 5 times his salary 42 percent of the time. D'Angelo Russell - Los Angeles Lakers (Fanduel: 6100 Draftkings: 6800) takes on the Golden State Warriors with an Over/Under of 227.5 and a line of 10.5. They rank 23 against Point guards this year and 24 last year. He averages 27.8 fantasy points per game this year. This year, he has scored 6 times his salary 20 percent of the time and 5 times his salary 40 percent of the time. Last year, he scored six times his salary 12 percent of the time and 5 times his salary 17 percent of the time. Sean Kilpatrick - Brooklyn Nets (Fanduel: 4700 Draftkings: 4400) takes on the Charlotte Hornets with an Over/Under of 206 and a line of 6. They rank 13 against Shooting guards this year and 10 last year. He averages 0.1 more Home, 27.8 fantast points compared to 24.6 fantasy points for the year.His minutes have increased by 3 percent over the last 3 games. This year, he has scored 6 times his salary 20 percent of the time and 5 times his salary 40 percent of the time. Last year, he scored six times his salary 10 percent of the time and 5 times his salary 21 percent of the time. Nicolas Batum - Charlotte Hornets (Fanduel: 6400 Draftkings: 6600) takes on the Brooklyn Nets with an Over/Under of 206 and a line of -6. They rank 23 against Shooting guards this year and 25 last year. He averages 29.3 fantasy points per game this year. Last year, he scored six times his salary 30 percent of the time and 5 times his salary 41 percent of the time. DeMar DeRozan - Toronto Raptors (Fanduel: 8500 Draftkings: 8000) takes on the Miami Heat with an Over/Under of 200.5 and a line of -8. They rank 6 against Shooting guards this year and 3 last year. He averages 46.2 fantasy points per game this year. His minutes have increased by 2 percent over the last 3 games. This year, he has scored 6 times his salary 25 percent of the time and 5 times his salary 50 percent of the time. Last year, he scored six times his salary 1 percent of the time and 5 times his salary 15 percent of the time. Klay Thompson - Golden State Warriors (Fanduel: 5900 Draftkings: 6300) takes on the Los Angeles Lakers with an Over/Under of 227.5 and a line of -10.5. They rank 28 against Shooting guards this year and 30 last year. He averages 0.1 more Away, 29.2 fantast points compared to 26.1 fantasy points for the year.This year, he has scored 6 times his salary 20 percent of the time and 5 times his salary 20 percent of the time. Last year, he scored six times his salary 30 percent of the time and 5 times his salary 54 percent of the time. Dion Waiters - Miami Heat (Fanduel: 4700 Draftkings: 4800) takes on the Toronto Raptors with an Over/Under of 200.5 and a line of 8. They rank 2 against Shooting guards this year and 9 last year. He averages 23.5 fantasy points per game this year. His minutes have increased by 2 percent over the last 3 games. This year, he has scored 6 times his salary 25 percent of the time and 5 times his salary 50 percent of the time. Last year, he scored six times his salary 13 percent of the time and 5 times his salary 25 percent of the time. Frank Kaminsky - Charlotte Hornets (Fanduel: 4000 Draftkings: 4100) takes on the Brooklyn Nets with an Over/Under of 206 and a line of -6. They rank 28 against Power forwards this year and 23 last year. He averages 20.4 fantasy points per game this year. Last year, he scored six times his salary 17 percent of the time and 5 times his salary 32 percent of the time. Anthony Davis - New Orleans Pelicans (Fanduel: 11200 Draftkings: 10900) takes on the Phoenix Suns with an Over/Under of 211 and a line of -3. They rank 22 against Power forwards this year and 13 last year. He averages 0.4 more Home, 79.9 fantast points compared to 58.7 fantasy points for the year.This year, he has scored 6 times his salary 40 percent of the time and 5 times his salary 60 percent of the time. Last year, he scored six times his salary 3 percent of the time and 5 times his salary 17 percent of the time. Trevor Booker - Brooklyn Nets (Fanduel: 5100 Draftkings: 4700) takes on the Charlotte Hornets with an Over/Under of 206 and a line of 6. They rank 1 against Power forwards this year and 10 last year. He averages 26.4 fantasy points per game this year. His minutes have increased by 1 percent over the last 3 games. This year, he has scored 6 times his salary 20 percent of the time and 5 times his salary 60 percent of the time. Last year, he scored six times his salary 3 percent of the time and 5 times his salary 9 percent of the time. Marvin Williams - Charlotte Hornets (Fanduel: 5300 Draftkings: 5200) takes on the Brooklyn Nets with an Over/Under of 206 and a line of -6. They rank 28 against Power forwards this year and 23 last year. He averages 0.1 more Away, 27.9 fantast points compared to 24.5 fantasy points for the year.His minutes have increased by 2 percent over the last 3 games. Last year, he scored six times his salary 17 percent of the time and 5 times his salary 34 percent of the time. Al-Farouq Aminu - Portland Trail blazers (Fanduel: 4700 Draftkings: 4500) takes on the Dallas Mavericks with an Over/Under of 206.5 and a line of -2. They rank 2 against Power forwards this year and 20 last year. He averages 0.2 more Away, 26.2 fantast points compared to 22.0 fantasy points for the year.Over his last 3 games, he has scored 26.6 fantasy points per game. Last year, he scored six times his salary 23 percent of the time and 5 times his salary 36 percent of the time. Thabo Sefolosha - Atlanta Hawks (Fanduel: 4400 Draftkings: 4100) takes on the Washington Wizards with an Over/Under of 205.5 and a line of 1. They rank 27 against Small forwards this year and 27 last year. He averages 23.6 fantasy points per game this year. This year, he has scored 6 times his salary 25 percent of the time and 5 times his salary 25 percent of the time. Last year, he scored six times his salary 6 percent of the time and 5 times his salary 27 percent of the time. Kevin Durant - Golden State Warriors (Fanduel: 9900 Draftkings: 10100) takes on the Los Angeles Lakers with an Over/Under of 227.5 and a line of -10.5. They rank 11 against Small forwards this year and 30 last year. He averages 51.6 fantasy points per game this year. This year, he has scored 6 times his salary 20 percent of the time and 5 times his salary 60 percent of the time. Last year, he scored six times his salary 8 percent of the time and 5 times his salary 36 percent of the time. T.J. Warren - Phoenix Suns (Fanduel: 5900 Draftkings: 6300) takes on the New Orleans Pelicans with an Over/Under of 211 and a line of 3. They rank 29 against Small forwards this year and 10 last year. He averages 34.4 fantasy points per game this year. This year, he has scored 6 times his salary 60 percent of the time and 5 times his salary 60 percent of the time. Last year, he scored six times his salary 7 percent of the time and 5 times his salary 9 percent of the time. Lance Stephenson - New Orleans Pelicans (Fanduel: 4000 Draftkings: 4200) takes on the Phoenix Suns with an Over/Under of 211 and a line of -3. They rank 19 against Small forwards this year and 25 last year. He averages 19.7 fantasy points per game this year. This year, he has scored 6 times his salary 40 percent of the time and 5 times his salary 40 percent of the time. Last year, he scored six times his salary 15 percent of the time and 5 times his salary 28 percent of the time. Justise Winslow - Miami Heat (Fanduel: 5000 Draftkings: 5600) takes on the Toronto Raptors with an Over/Under of 200.5 and a line of 8. They rank 4 against Small forwards this year and 8 last year. He averages 0.3 more Away, 34.6 fantast points compared to 27.4 fantasy points for the year.His minutes have increased by 2 percent over the last 3 games. This year, he has scored 6 times his salary 50 percent of the time and 5 times his salary 50 percent of the time. Last year, he scored six times his salary 2 percent of the time and 5 times his salary 12 percent of the time. Zaza Pachulia - Golden State Warriors (Fanduel: 3900 Draftkings: 3900) takes on the Los Angeles Lakers with an Over/Under of 227.5 and a line of -10.5. They rank 24 against Centers this year and 27 last year. He averages 19.7 fantasy points per game this year. Over his last 3 games, he has scored 23.9 fantasy points per game. His minutes have increased by 5 percent over the last 3 games. This year, he has scored 6 times his salary 20 percent of the time and 5 times his salary 60 percent of the time. Last year, he scored six times his salary 49 percent of the time and 5 times his salary 61 percent of the time. Joakim Noah - New York Knicks (Fanduel: 4200 Draftkings: 4500) takes on the Chicago Bulls with an Over/Under of 210.5 and a line of 7.5. They rank 13 against Centers this year and 26 last year. He averages 0.1 more Away, 22.1 fantast points compared to 19.8 fantasy points for the year.Over his last 3 games, he has scored 22.1 fantasy points per game. His minutes have increased by 4 percent over the last 3 games. This year, he has scored 6 times his salary 50 percent of the time and 5 times his salary 50 percent of the time. Last year, he scored six times his salary 34 percent of the time and 5 times his salary 55 percent of the time. Andrew Bogut - Dallas Mavericks (Fanduel: 4200 Draftkings: 3800) takes on the Portland Trail blazers with an Over/Under of 206.5 and a line of 2. They rank 18 against Centers this year and 29 last year. He averages 19.1 fantasy points per game this year. His minutes have increased by 5 percent over the last 3 games. This year, he has scored 6 times his salary 25 percent of the time and 5 times his salary 25 percent of the time. Last year, he scored six times his salary 27 percent of the time and 5 times his salary 39 percent of the time. Marc Gasol - Memphis Grizzlies (Fanduel: 7000 Draftkings: 6700) takes on the Los Angeles Clippers with an Over/Under of 197 and a line of 5.5. They rank 1 against Centers this year and 12 last year. He averages 34.0 fantasy points per game this year. Last year, he scored six times his salary 17 percent of the time and 5 times his salary 38 percent of the time.